When potential customers visit your website, they should be drawn in and understand right away why they might want to do business with you. We understand that your business has only one chance to make a favorable first impression. The website needs to make these potential customers want to explore your site further, so they learn, more and more, why they would benefit from doing business with you. We at Acculogy, know just how to do that.We’ll build your website so it contains keywords that is search engine friendly. These keywords are important in getting search engines to find and rank your website. We know that the proper lay-out of a website can favorably impact your site getting found as well. 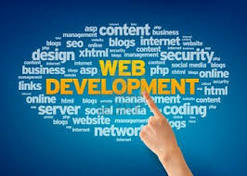 We are known as one of the top website developers and designers in our fields, in this market website developers and design cost are far and few between, if you are looking for top website developers, for a large corporation that needs website development or a team to provide you with small business web development you can be assure of our quality service, because we only uses the best website development tools in the industry, we create all types of web sites, Some of our specialized areas are, Ecommerce website developers and designer, assist with website development and small business web development, our team is made up of top website designers who place great emphasis to control the website design cost, feel free to contact our top website developers to coordinate all the elements of your web presence, by using the best website development tools on the market for your standard or Ecommerce website. Internet visible, the extend can varied extensively from a single web page to a complex large organization or business website. A list of tasks commonly involves are: web engineering, web content development, network security, client liaison, web coding, web design and SEO management. Front-end developers deal with the layout and visuals of a website, while back-end developers deal with the functionality of a website. Back end developers will program in the functions of a website that will collect data.